Intro, standing poses, breath work and supported savasana. 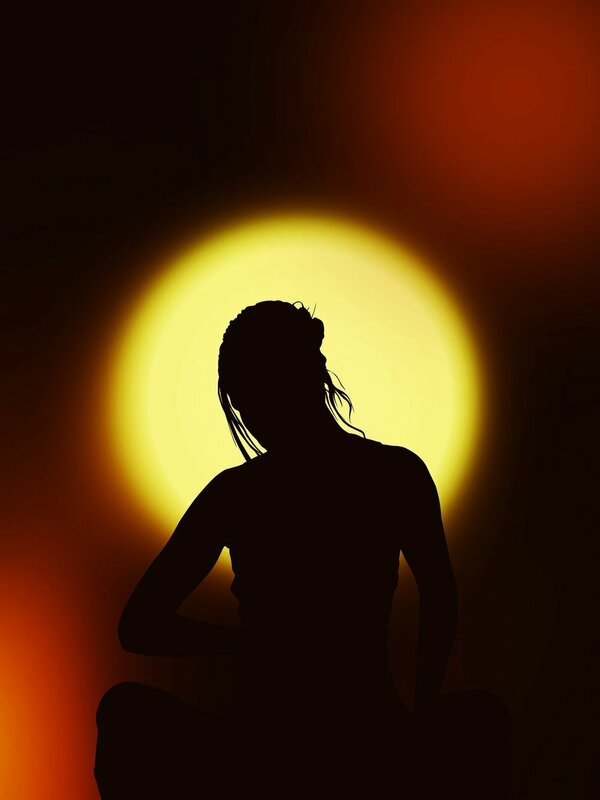 Ayurveda : what is your dosha, seated poses, sound healing and pranayama 1. Standing, reclining poses and twists, Ayurveda: abhyanga, hand and face yoga. Partner and seated poses, chanting, sound healing, meditation, and pranayama 2. Sun salutation (chair), seated poses, legs in the chair and aromatherapy. Morning sequence, standing poses, footwork and meditation 1. Hip Series, restorative poses and mediation 2. Staying youthful as the years pass is a choice you make now. Whatever your age, you can turn back the hands of time or slow down the clock by using both movement as medicine as well as good nutrition. Loosening up the body using gentle yoga/yoga therapy: asana (poses), meditation, breath work, attending to the components of physical fitness, working on spiritual growth and participating in community all lend themselves to building resilience to enjoy life! Growing older, of course, is natural. Learning to embrace the beauty of this journey will pave the way to evolving as responsible human beings as well as to provide the means for living your dharma. Come join us on this spiritual journey! In Sanskrit, Ayurveda literally translated means "the science of life." It is considered the “sister science of yoga.” Many of our LifeFit students have come to understand a little bit about the teachings of Ayurveda, with the foundation that we are each such unique beings, in our “constitution,” the make up of our body, mind and spirit. It is fascinating to learn that our constitution was determined at the moment of our conception - another reason to be ever grateful to your parents and to your Higher Power! In our classes and workshops over the past few years, we have had great introduction and discussion about knowing your “dosha,” your constitution, and beginning to understand the self care then that is unique to you. According to Ayurvedic teachings, it is not disease that creates imbalance; rather, disease is a symptom of imbalance. Furthermore, your body is designed to heal. This is a lesson found in many faith practices too. Our responsibility is to support the body with fresh water, nutritive foods, powerful herbs, conditioning practices, adequate rest, cultivate a spiritual practice of devotion, and build community. All of this will support your well-being and good health, building balance in body, mind and spirit. When we bring our body into a state of equilibrium, its natural state, and maintain this state, the outcome is good health. Herein lies the greatest lesson of Ayurveda – 95% of your healthy lifestyle efforts should be spent on the side of preventative wellness practices! Where Does Our Freedom Come From? This is indeed a thought provoking question, and can mean many things to each of us. First of all I want to acknowledge that we live in the greatest country and as my neighbor so thoughtfully added, “at the greatest time on earth” (with regard to abundance of our blessings). Yes, the myriad of freedoms we enjoy in the US come from our founding fathers (and mothers), folks who work in the judicial system and law enforcement, the men and women who have served and currently serve to ensure these freedoms, and the list can go on an on. We can and should include the teachers who empower us, health care providers and researchers who keep us as healthy as possible so that we can lend our efforts, artists who inspire us, religious leaders who lead us toward spiritual growth so that we better understand our place in serving our world,… Your list might be similar and more detailed too. It is the summertime. Time to be carefree, to get out into the world, to embrace new opportunities that arise from spontaneity and the freedom to do just that: be free to decide on new things based on being present to what is in front of you. In the summer, I take up running, thinking more in terms of my exercise physiology background and the importance to build/maintain cardiovascular endurance. (Note: yoga practice is still daily practice)! Lately I’ve been paying attention to where strength, forward movement, and freedom come from, and what it “feels like” when initiated from different places: running from my quadriceps/hip flexors (front body) vs, running from more gluteal/hamstring/calf/sole of foot engagement (back body). There is a different feeling physically connected to different emotions energetically and the thought provoking aspect of all of this sends me more into the yoga philosophy part of my practice. Folks who have attended the “Yoga for Back Care” learn that the back body defines our past, the front body, our future and how we choose to move, to build strength, create space,... gives us resilience, readiness and yes, freedom!!! Building awareness through movement helps us to understand ourselves so as to let go of the past, to embrace the present, to be open to the future (not afraid of ourselves, our potential, our calling), to stand up and be counted, to serve, to love who we are, and to be connected! So here is yogic encouragement: Let your past empower your forward movement, not hold you victim. Allow this by actively working at letting go of what holds you back, without losing your focus on the horizon of your future (God’s plan). Your freedom to move forward comes from your innate strength, that spark of Divinity within you. Let it shine and lead you (and the rest of us) forward! Happy Fourth of July LifeFit Yogis and Friends! Follow us on Facebook and Instagram and share your thoughts on freedom. Please confirm your interest to continue in the fall by mid-July. Schedules and class lists are being fine tuned. Current members have “first dibs” on space in class and once July is finished, we will make note of extra space in classes to allow new members in. 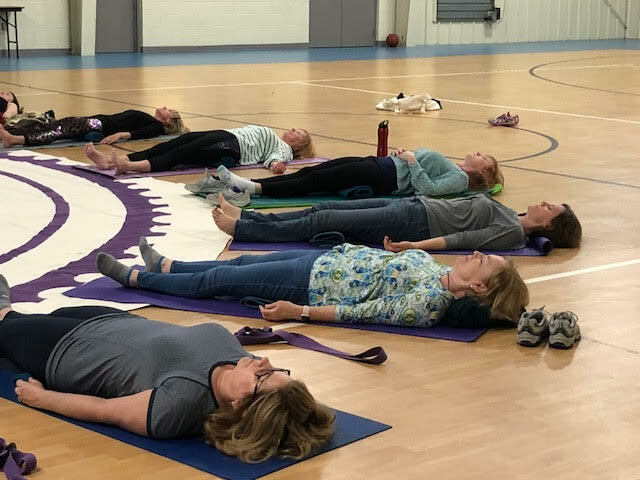 “Specialty classes” were offered last year and will be offered again, to include: Yoga Nidra, TRE Group Class (Tension and Trauma Releasing Exercises), workshops and specialty themed classes. Coming home from a weekend away? Keep your eyes peeled for the offerings that will help you unwind and get ready for your week! "Intellectually I know that America is no better than any other country; emotionally I know she is better than every other country." message. We will repeat the two Osteoporosis workshops in the Fall! frame of the body, the skeleton, and allow us resilience as we age! All workshop attendees are to bring a yoga mat and blanket and yoga strap (if you have one). Welcome to June, LifeFit yogis and friends! This is the month that we “spring into” summer, open to all the joys of these two seasons, including the chance to get outdoors as well as to be spontaneous. I hope you use all of your yoga muscles to embrace life! As our LifeFit community of classes has evolved over the years, each year we have a few emerging and refining trends. This year we made it a point to begin each practice with “setting and intention.” You all are understanding that group practice is the springboard to building your home practice. I hope you continue practicing this tool, setting an intention, as the way into your own practice. Therefore I thought to explain and review. Setting an intention at the beginning, will ease you into your practice, whether it is yoga asana, meditation or another mind-body practice. It is both a simple and effective process. When you don't know what to practice, this step allows your intuitive “way in.” Setting an intention has you look inward, ask and note "what do I need in this moment? One of the most frequently asked questions I receive is “How do I set my intention for my practice?” or "What qualifies as an intention?" Intention is the bigger focus of what you may be looking to develop in your practice, to move forward in yourself. This can include how you want to feel in your practice and afterwards. It can be an emotion, a feeling, a quality, a goal. The intention is what you are looking to achieve through the use of the yoga asana sequence practiced and/or while sitting in meditation. It can be a prayer. It can be a resolution to using or sending the energy of your practice for the sake of another person. It can include a mantra, which is word, sound, or phrase that you repeat while practicing. A mantra is often taking your intention and using it as an affirmation. Therefore an intention is the overall goal of what you are wanting to cultivate in your practice, while the mantra is what you repeat to propel yourself there. This helps your keep your mind steady on your practice. An intention helps to ground your practice! So then, how to set an intention for your practice? • Close your eyes. Breathe deeply. Create space in the body, horizontally and vertically, front to back. Make sure your shoulders, neck, face muscles and jaw are relaxed. Your tongue isn’t clinging to the roof of your mouth. Notice how your breath awareness becomes refined. Note how this leads you to letting go of more unnecessary tension. Use this awareness to help you understand what the undue tension may be connected to. • Ask Yourself: What do I need to release? What is not serving me? What is limiting me? You can turn these realizations into positive intentions. • Ask yourself: What do I need right now? How do I want to feel? What is meaningful to me in this present moment? • As you continue to sit comfortably, continue with deep breathing and whatever you answer with, in this moment, is the intention for your practice. Don’t overthink it. You have identified how you want to feel intuitively. • Now choose a mantra/an affirmation. Affirmations are positive statements that are proven to help re-wire the brain for positivity, gratitude, and happiness. You can also use a verse of scripture or a Sanskrit mantra, such as "Om Shanti, Shanti, Shanti," which represents all-encompassing peace. Sanskrit mantras a filled with healing sounds, called a “bij,” or seed. • Your intention can change for each practice. It becomes a process that evolves as we are being proactive in the self-learning process and thus, we cultivate the journey toward growth. Sometimes, the clarity is clouded by the whirwind of life. Don't get discouraged, continue with the steps of your practice, and both your mind and your body will begin to respond when the beginning steps are recognized again and again. That is why we practice…anything in life. • Note: In Sanskrit, the word for intention is sankalpa. In classical Yoga Nidra practice a sankalpa is used to identify a limiting belief and use it as a transformational belief. We will continue to have formal Yoga Nidra practice opportunities on occasional Sundays in the fall and in the new year – keep an eye out for those dates and come join us! Once we start to honor and pull out of ourselves this quality, the intention of our practice, we begin to embody it. And, then in the yogic tradition of nonattachment, we can choose to release it and start the process all over again, with the next thing we want/need to work on. Setting an intention can have a profound effect, as it can be both a supportive and empowering practice tool. Furthermore, as yogis we learn that the lessons on our mat, come to be incorporated in the course of our day(s). Here is an opportunity for cultivating mindful living. One way to reflect on your mindful journey is to keep a practice journal. Use your journal to track your practice, goals, reflections and intentions you’ve set and watch how you grow as your practice unfurls. Note that you can work on an intention for a certain designated length of time and that it can change between each practice, each month, and each year. Use your yoga muscles to embrace life! Enjoy your practice! Here are some quick ways to make the most of your peppermint oil. • Diffuse in the car for long rides to settle stomachs and to help with alertness in driving – with a car diffuser or in a simple mist with distilled water that you spritz in the car – to keep restless stomachs more stable, and driver focused. • Make a mist to spray on the back of the neck or the feet to keep cool. Add 6 to 7 drops to 1 ounce of water and spray. • Add a few drops to a bowl of cold water and soak a cool, wet washcloth for a cold compress. Use the compress on a warm forehead for a soothing effect. • Add peppermint to shoes, along with arrowroot or cornstarch, to keep them odor-free. Make a deodorizing shoe powder by adding 10 drops of peppermint oil to 1/4 cup of either arrowroot or cornstarch. Make a Insect Repellent Spray Add 6 to 10 drops each of Cedarwood, Lemongrass and Peppermint essential oils and 1 teaspoon epsom salt, to 16 ounces of water in a spray bottle – use for self and mist around the base of plants, leaves, and around doorways and windows to deter ants, spiders, slugs and aphids, mist where . • Make and After Sun Spray. Add 6 to 7 drops each of Peppermint and Lavender essential oils to 8 ounces of water in a spray bottle – mist onto the skin for both a cooling and a healing effect from the sun rays. Or add these oils to 2 ounces of aloe vera gel to soothe the skin. This is year sixteen of LifeFit Summer workshops! Originally designed to educate new students interested in joining our group classes, now existing students recognize the empowering value of the lectures, as well as the handouts to include the practice sequences. Many students come repeatedly each summer to continue learning more as content changes and to refine their knowledge of what and how to practice. My wish was for LifeFit students to supplement their group practice with knowledge and confidence to then build a home practice. Thus, all of us get to grow when collectively we deepen our practice, our journeys entwined. Yoga teachers will now receive continuing education credits to attend LifeFit workshops. Come join me for "Yoga on the Labyrinth" on May 5, 2018, and stay to celebrate World Wide Labyrinth Day, walking the labyrinth at Holy Trinity! I am honored to be asked by the Servant Leadership School to do a workshop on yoga, incorporating the transformative energy of practicing on the labyrinth. We will have a short intro to include pranayama (breath work) aromatherapy, sound healing, footwork and mudras (handwork) as preparations. We will have a light practice, accessible to all levels of ability and afterwards, an opportunity to walk the labyrinth at Holy Trinity. Sandy Blocker is an amazing musician who adds the richness of sound healing to a labyrinth walk. This experience of yoga and a labyrinth walk on this particular day and time will connect us to others in our world community walking to promote world peace, another tie that binds us in our human evolution. The cost, $10, has been subsidized by the Servant Leadership School and all participants will receive “gifts of the earth,” aromatherapy treats. Register here for “Yoga and the Labyrinth” workshop from 11:00 am - 1:00pm, on May 5th, through the Servant Leadership School and then stay to walk the Labyrinth (free) for World Wide Labyrinth Day! Please bring a yoga mat and blanket if you have one. I hope to see you in this practice circle on May 5! This is year 16 of LifeFit Summer workshops! Originally designed to educate new students interested in joining our group classes, now existing students recognize the empowering value of the lectures, as well as the handouts to include the practice sequences. Many students come repeatedly each summer to continue learning more as content changes and to refine their knowledge of what and how to practice. My wish was for LifeFit students to supplement their group practice with knowledge and confidence to then build a home practice. Thus, all of us get to grow when collectively we deepen our practice, our journeys entwined. Yoga teachers will now receive continuing education credits to attend LifeFit workshops. In addition, summer workshops provide opportunity to come together for a group practice in the summertime, when students are missing their regular group classes. So share this information, bring a friend and come to a workshop! Cost is $25/workshop or $125 for all 6 workshops, held at Christ United Methodist Church, 410 N Holden Road, Youth Building. Please bring a yoga mat and blanket. Sign up here! June 6: Hip Openers 5:30 – 7:30 p.m.
June 10: Yoga for a Healthy Back 1:30 – 3:30 p.m.
June 10: TRE (Tension and Trauma Releasing Exercise) 4:00 – 6:00 p.m.
July 18: Shoulder Openers 5:30 – 7:30 p.m.
July 22: Yoga for Osteoporosis: The First 12 Poses 1:30 – 3:30 p.m.
July 22: Yoga for Osteoporosis: The Next 12 Poses 4:00 – 6:00 p.m.
That wonderful word, “mother,” is part of every day in our lives if we pause to think about the influences of our own mothers, the value we put on motherhood/parenting, the sweet responsibility of being around young people, the joy that comes from watching babies (of all kinds, humans, pets, wildlife, seedlings), being out in nature (mother earth) and the indescribable energy of being around a pregnant woman. These examples and more remind us that “mother” evokes a sense of reassurance that all is well, and that everything really will work out to be just fine. That is because mothers work so hard at life, as the worker bees, the seers, the doers, the ones who show up and show us how to live by being present, by responding to what is in front of us. They are the true yogis! Mothers give us courage, permission, purpose, space, support, direction, and hope. Recognizing the importance of mothers profoundly directs us to recognizing God’s hand in all things, that life came from a mother, but ultimately from a Higher Power. It is rather thought provoking to round the corner of celebrating Spring, the spiritual seasons (Easter, Passover, Holi,…), Earth Day and Mother’s Day, all around the same time of year. They all remind us of the opportunities for renewal, the reassurance that life moves forward and that we have purpose in being here, and therefore responsibility to participate in the circle of life…. all because of our inspiring mothers. From celebrating your mother to mothering others, Happy Mother’s Day! Whether for Mother’s Day or to prep for building a home practice, consider shopping for props, Essential Yoga Practice Book and/or DVD, diffusers, essential oils, yoga pants and toe socks, …when coming to class! Need a new mat? Travel mats and toe socks keep your practice easily managed! Aromatherapy is in vogue now, and even corporate environments use fragrances for sensory engineering to improve marketing, improve employee mental health and productivity, and appeal to consumers. But “fragrance” aromatics may do more harm than good as they include synthetic scents instead of pure essential oils. At a time when we are recognizing the need to minimize toxic load, here is a dangerous way to sabotage the immune system of the body. From an Ayurvedic perspective, synthetic scents lack prana, the life force found in all things natural. They pollute the environment as well as our bodies, with chemicals that cause our bodies to create toxic waste, or ama. In the body, toxic buildup of ama is considered the cause for all disease. The fastest way into the body is through inhalation, as whatever is in the atmosphere will sift from the lungs into the bloodstream and can easily cross the blood/brain barrier. Pure essential oils will support and enhance the function of the 9 systems of the body. Synthetic substances will only aggravate the doshas (the unique constitution of each individual) by throwing the nervous system out of balance and the domino effect is the development of allergic reactions. Use only pure essential oils to access therapeutic effects for your body and mind. Note that in our LifeFit yoga classes we use essential oils to cleanse the air of airborne pathogens, to wipe off surfaces to kill bacteria and viruses, and for affecting emotional well-being. Aromatherapy is an effective way to have a “one-pointed” focus for meditation. Peppermint aids focusing skills, rosemary improves memory, citrus oils will improve mood, lavender is calming, certain blends of oils will open the airways, or relieve tense muscles, and all essential oils have some antimicrobial properties that translate to helping us in the similar ways that they originally provided protection of the plants they came from. There is a direct link between our sense of smell and the limbic system of our brain. The limbic system is the foundation of the basic instincts that connects our emotions and memories. Scents that we consider pleasant will improve our mood, ignite our memories, and perhaps improve cognitive skills. Scents that we consider unpleasant will derail our outlook and make us sick both physically and emotionally. In general, scents that appeal to you are probably good for you. According to Ayurveda, aromas can balance or derange the doshas, the unique constitution of each person. Thus, this can have a great affect our overall health and our daily well-being. So with trendy conventional use of the same therapeutic scents for everyone, Ayurvedic physicians will tailor aromatherapy to each person’s prakriti , their individual constitution which is a makeup of all three doshas, thus to their individual needs. For example, if you are vata-dominant, then rebalancing essential oils need to be warming, focusing, calming, grounding scents like lavender, marjoram, geranium, wintergreen, cinnamon, clove, orange, and rose. Pitta individuals benefit from scents that are hydrating, cooling, sweet, and soothing like sandalwood, gardenia, jasmine, violet, lemon and patchouli. Kapha individuals need warming, light, stimulating, expectorant aromas such as myrrh, sage, cedar, pine, fir, birch, and eucalyptus. If you’re interested in learning more about aromatherapy, we developed a course to help you get the hang of how to use essential oils alongside how to deepen your understanding of Ayurveda and yoga. Essential Yoga Sangha (my tribe) is a two week online course that is light, fun, interactive, and taught at two levels. One can enjoy the main course which was created to introduce essential oils to yogis and yoga to essential oil enthusiasts. Last year we ran the beta-test of the course twice. It is now hosted on an educational site. The information becomes yours to enjoy and refer to at your convenience. Yoga teachers can purchase an additional segment and use it all for 10 CECs with Yoga Alliance. All Lifefit students will receive the oils we use in the course when registering for the next course. The next course begins April 9th. Sign up here! Want to learn more about doshas? Look to our blogpost Take the Dosha Quiz in our book Essential Yoga Practice – need a copy – ask Mona or order on Amazon! Follow Essential Yoga Practice on our social media and comment, share, retweet,… to be entered to win our monthly giveaway. 1. My days have more structure. 2. I am more realistic about what I can and cannot get done. 8. I am more grateful,…for everything and everyone in my life! 9. I am learning who I truly am. I am ready to courageous about it. 10. I am more “present.”This is probably the best benefit of meditation. Just like any other part of a grounded yoga practice, meditation is not the“instant fix.” Just like any other part of a seasoned yoga practice, it is just that, a practice. Refinement comes with consistent practice and in surprising ways. Pretty soon the fruit of the labor is the one-pointed practice of being “present”to what and who is in front of you! I am a happier person because I am a more authentic version of myself. Want another pranayama to use in your meditation practice? This pranayama practice involves exhalation, retention, inhalation, and again retaining the breath—all for the same amounts of time. It can be helpful to visualize a square or box shape to remember to breathe in equal increments. This is a calming breath and is sometimes used in therapeutic settings. · Find a comfortable seat. · Rest your palms on your thighs or on your belly or heart. · Take a few deep breaths to get centered and prepare/stretch the diaphragm . · Hold your breath in for a count of four. · Inhale for a count of four. · Hold your breath out for a count of four. · Repeat as many times as you like. · Then don’t count or seek to follow the pattern. Note the natural tendencies of the body to breathe – it is always a pleasant surprise to observe how the body wants to continue with slow deep breathing. 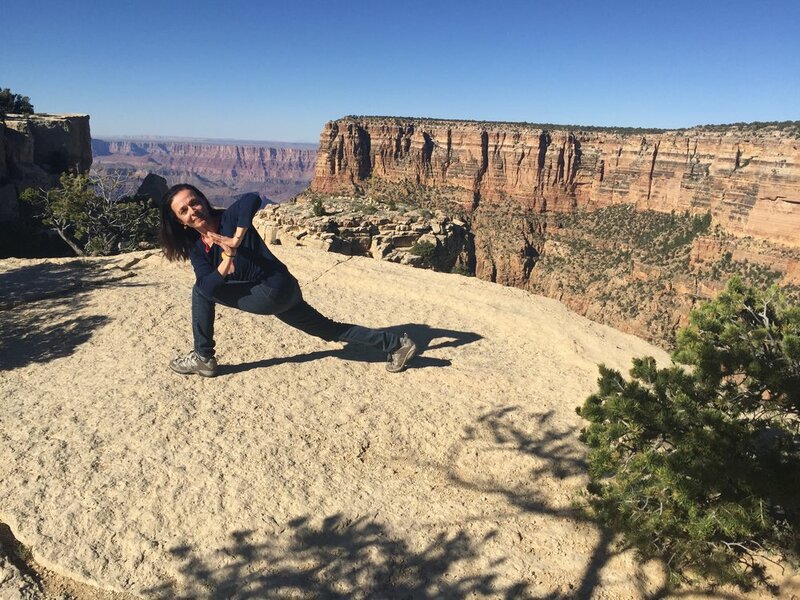 · April 15, 2:30 – 4:00 pm, $25: Yoga for Osteoporosis, the Second 12 Poses Note that if you have not learned the first 12 poses, it is ok to come to this class as we will cover all three variations (beginner, intermediate and “maintenance” variations) of the poses in the current Osteoporosis study of Dr. Loren Fishman, MD. Our chair yoga classes are most unique collection of preparations for poses to fine-tune the movement capacity of the body, calm the mind, support resilience of the respiratory system and build community. Come join us! Find a sunny spot to sit or to walk (for more on walking meditation, and labyrinth meditation, register for Yoga on the Labyrinth with the School of Servant Leadership for World Wide Labyrinth Day, May 5th, 2018. Using the analogy of planting a garden, what seeds (goals) will you be planting? How will you nurture those seeds? How will you shelter them/make them priority? Find markers (physical or mental reminders) to help you stay consistent and accountable. Schedule your nurturing habits so your growth in these personal goals becomes the new habit of tending to self-care. Enjoy the fruit of the labor and share about it with others – your new growth becomes how we all get to grow together! Ready for the ultimate yoga learning experience? Friday- Tuesday 8 a.m. – 5:30 p.m.
Wednesday 8 a.m. – 3:30 p.m.
Friday 1p.m. – 9 p.m.
Greetings LifeFit yogis and friends! February is the month that brings us back to what makes the world go round: LOVE! Just thinking of this word, seeing it in print, evokes emotions that make us feel supported, inspires thought and action. Hopefully we then recognize the importance to show up and support those we love and to live from integrity – it is that simple but the core of the practice is to love and accept who we are first. 3. Jnana Yoga, the quest for knowldege which keeps us coming back to our gratitude practices as we realize how great God is, giving us all of our connections, the world we live in and our intricate bodies. 4. Astanga Yoga, the 8 fold path, or the yoga we tend to focus on in the West. These “8 limbs” are where we find yamas and niyamas (direction for pure living), asana (physical postures), pranayama (breathwork), dhyana (meditation), pratyhara (mind-withdrawal), dharana (concentration), and samadhi (enlightenment). In 2018, I hope you find ways to form and create new patterns of successful living so that your practices, your health and your relationships are in full alignment with your heart. Yoga Teacher Training Begins in June, 2018 – Sign up by March 31! As yogis, we are attune to the fact that we are spiritual beings, and most of us are open to using our yoga for finding new ways to improve ourselves. When a challenge arises, we seek to learn from it so we can grow and evolve to do better next time. But, often, what is hidden underneath are old habits that do not serve us, called samscaras in Sanskrit, which linger and keep us from making progress and replacing the old habits with the new. It is too easy to let our old habits lead the way and it is rather challenging to be mindful to embrace new ways of doing things. Interestingly enough, moving forward boils down to “awareness” and “practice,” and these two words are the foundation of what we do in yoga. The more we do yoga with intention to learn about ourselves and improve our situations, the more we are empowered to move, think and act with a mindfulness for creating new ways to open up to embracing life, love, and the potentials of our future. Are you ready to deepen your practice? Consider yoga teacher training! One third of all yoga teacher training candidates participate for the opportunity to learn more. You can decide to teach or not. At the Institute of Integrate Yoga Therapy, we designed our foundational 200 hour teacher training schedule so that it is practical for most everyone as it is divided into 5 weekends and one week of study and avoids the holiday months. See here for more information and the schedule. Sign up by the end of March, 2018 and we begin the first weekend in June - we’d love to have you join us! 1. February 18: Partner Yoga – This FUN, interactive partner class is for all yogis, come with a partner or not. Come as a couple, with a sibling, parent, friend, … and come ready to learn that partner yoga can be a greater experience because of the traction, vibration, accessibility to new poses, different energy when practicing a pose with another yogi, and the element of play. Come with an open mind to work with a partner and to work as a group. Please bring a yoga mat and blanket and a strap if you have one. Sign up and pay by Feb to receive an eye pillow to use during the restoratives at the end and to keep for your continued practice! Sign up here. 2. February 25 TRE: Tension and Trauma Releasing Exercise (see www.traumarelease.com ). In the past months we have incorporated yoga poses to substitute for the 7 traditional steps that initiate the TRE process and the recent requests are to return to those original 7 steps/exercises so that we know them better. This class is for those new or already seasoned in TRE. Are you ready to understand and feel how vibration is healing? This is a practice that truly allows us to learn from and to trust the body. It requires “mind on the body,” which allows us to stay present and not to allow the mind to race and play tricks that sabotage our chance to let go of what holds us back. Sign up here. Happy New Year 2018 Lifefit Students and Friends! This is the season for quiet reflection and for being intentional. We are a few weeks past the Winter Solstice, the shortest day of the year. In this month of January 2018, we will have 2 full moons, the first on New Years Day, and the second one, a Blue moon (two full moons in a month only happens occasionally, thus the expression). A full moon is an auspicious time for introducing change, and thus a time for intentional change. In the world of Ayurveda, winter time is “Kapha season,” a time where we hibernate, incorporate warming practices, to include deep rest and contemplation. And, as we step into this brand New Year, 2018, it is a time to reflect on what worked well in the past, what we are grateful for, and use that to anticipate and plan positive change for the coming year. The heart of creating change requires both bravery and courage. It is too easy to continue with habits because there is not room for awareness of what can be, an awareness which then allows growth. It is too easy to stick to the comforts of habits, even when they are destructive. The true place from which courage rises is the heart, the seat of intuition, the place where the soul resides. Though the mind can play tricks on you, your intuition will guide your true nature to shine the light on your path of forward steps. How to do that? Furthermore, how do we determine what needs to be changed? Yogic answer: It depends on the discovery of the self. Deepen your practice: your yoga practice, your faith practice, your daily practice, your home practice, your family practice, your self care practice…. All of these things that come from repetitive ways to “know thyself.” The answers will help you to create your karma, live your dharma, deepen your relationships, and live life! How will you refine that this year? Let your intuition guide you and be consistent, creative and curious. Find an element of fun, breathe deeply, show kindness, and be observant. One synonym for “yoga” is “awareness,” the necessary tool for change. If you are not already a LifeFit student, come join our community! Sign up for a 200 hour Teacher Training! Pay in full by January 30, 2018 for early bird savings. Note: 6-month payment plan option. Sign Up by March 30, 2018 (8 person minimum, 15 person maximum). Our yoga school, Institute of Integrated Yoga Therapy is led by 2 co-owners, long time yoga teachers and C-IAYT Yoga Therapists, Donna Phillips and Mona Flynn. The schedule of training, unique to our school is designed to accommodate folks with work, family and/or student schedules. The 200 hour study course is divided into 5 long weekends and 1 week. 2018 dates: June 1 – 3, July 9 – 14, August 8 – 12, September 14-16, October 26 – 28, and January 18 – 20, 2019 (graduation weekend)! Are you ready to deepen your yoga practice? One third of all students in a yoga teacher training, are there to simply deepen their knowledge and thus their practice. Know of a friend or family member who might wish to delve into yoga teacher training? Fill out an application to begin your journey. See required book list. In this coming year, 2018, once or twice/month, additional Sunday afternoon class will be available to allow both novice and seasoned students to experience two specific yoga classes. These classes are for students of all levels. 1. Yoga and TRE (Tension and Trauma Releasing Exercise) See www.traumaprevention.com With each Yoga and TRE class this year, we will explore varying asanas as preparatory steps to inviting a tremoring process to reduce physical and emotional stress on body, mind and spirit. Sign up to attend January 21, 3:00 – 4:15 pm Cost is $20 or $35 for both classes for this month. 2. Yoga Nidra taught classically, will include pre-practices and pre-pre –practices: refining yoga asana preparations as well as pranayama, mudra, sound healing and guided meditation to provide deep relaxation. In every Yoga Nidra this year we will have variety of these pre-practices, to include the support for our resting position. Sign up to attend January 28, 3:00 – 4:15 pm Please bring your yoga mat, two blankets, and a pillow. Cost is $20 or $35 for both classes. for this month. Above all the grace and the gifts that Christ fives to his beloved is that of overcoming self. This is the season of Generosity and Service (seva) and it begins with Gratitude! Yoga means union, and it can mean coming together. In this sense the coming together is “to make whole,” and if we think in these terms, we can apply the idea to how we are in community. We work together in the immediate communities we live in and hope to have a positive effect on our global community and extending beyond that, we come to be in awe of our connection to our universe. Taking this concept from the micro level to the macro level and back again, reflecting within at the intricacies of our body, then the “care and keeping of you” will affect your capacity to care for others too. This process should keep bringing us back to a foundational word: Gratitude. What comes when you see and hear this word? Does your body release and relax, does your breath deepen, does the stress on your forehead melt away, and does your heart swell? The heart opens and so does the mind when we keep coming back to the idea that leads to ideals: what we have and what we are is enough; all that we need is here. So, let us be present and be human together in how we can whittle down the “scarcity theory,” that we need more things, more time, more attention, more care. In this season of giving, where gratitude is our springboard, let us realize that there is enough within us, and between us, and let us use our yoga practice to become more open and more appreciative of how we can give of ourselves. In this past year our LifeFit classes have been enjoying the use of “healing sound” through the introduction of singing bowls. The use of singing bowls has been around for over 2600 years, stemming from the time of the Buddha and made popular by Tibetan Buddhism. The use of singing bowls has spread into many traditional practices, and in yoga, is considered to provide sound healing. All things made of carbon have a frequency, from rocks/minerals to human beings, and furthermore we all have our own unique frequency. When exposed to something with another frequency we are affected by it and we are effective toward it too. Often singing bowls are used before a meditative practice to affect focus, mood, provide clarity, and to center the mind by providing a one-pointed focus. The tone of the bowl is produced when the wooden mallet is used to strike the bowl and then running the mallet around the bowl with light pressure. Thus the bowl “sings.” The constant tone will cause the brain to move toward a Theta wave frequency, inducing a sense of peacefulness as well as helping to provide clarity of mind. This consistency will also allow the practicioner to sink into a deeper state of consciousness. Furthermore, it is thought that musical tones at 7 to 8 cycles/second activate the deeper intelligence, creativity, and self-healing mechanisms of the body. Since our bodies are have specific frequencies, when these vibrations are out of sync, we are prone to disease/illness. Singing bowls provide a healing process by providing and aligning frequencies that bring us back toward internal harmony. Enjoy the process and consider getting one for yourself. More singing bowls are on their way from Nepal and India, to our LifeFit sangha (community). 1. Yoga and TRE (Tension and Trauma Releasing Exercise). 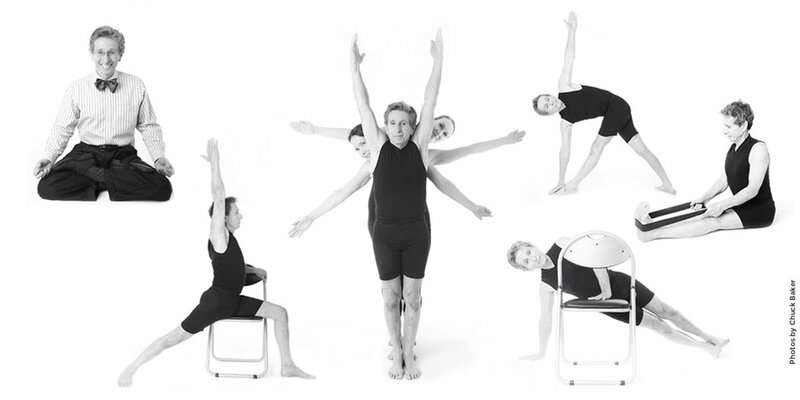 Many folks have tried TRE with the formality of the exercises designed by founder, Dr David Bercelli, PhD. In this group class, we will experience substituting yoga poses and preparations that simulate the work of the TRE preparatory exercises and find the enhanced effect of trauma informed yoga along with this wonderful release practice. TRE works physically at the facial level yet helps all of us release the effects of stress and trauma that the body tends to hold onto when we do not take time to find healthy ways to care for body, mind and spirit. Prerequisite is to have had a private TRE session or to have attended a TRE workshop. Register at lifefityoga.com See more on TRE: here. Dates: November 19 and 26 3:00 – 4:15 Cost $20 for each class. Register for both: $35 Space for 15. New class will form for the new year. 2. Yoga Nidra November 26, 4:45 – 6:00 pm. Yoga Nidra is a traditional restorative practice that promotes deep rest and performed in a savasana (corpse pose) position. Classically pre- practices and pre-pre-practices are done to release tension and then the body, free of tension, is able to rest in a well-supported, still position, moving through stages of body scan and breath awareness. 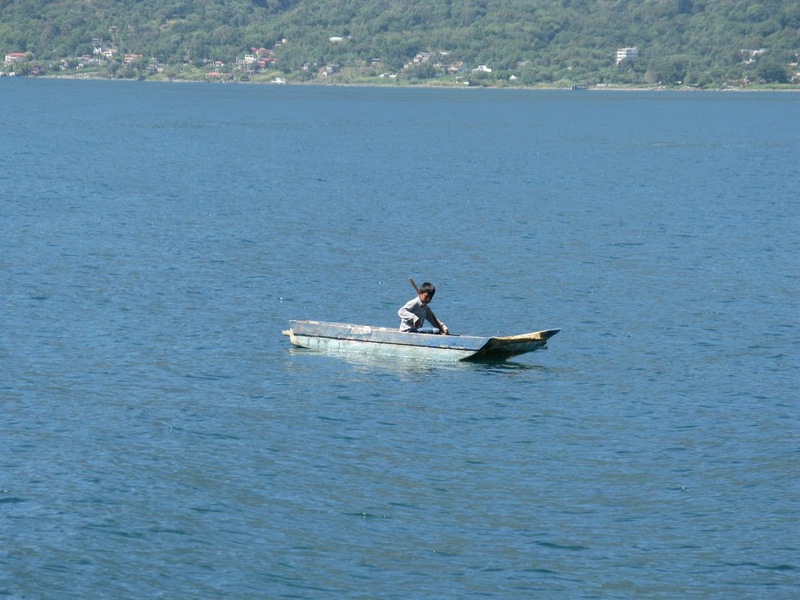 The preparations are accessible to everyone, at all levels of fitness. Register at lifefityoga@gmail.com Space for 20 The intention is to continue with a monthly class in the new year. Cost is $20 with a percentage of this class going to support the church. Read more on Yoga Nidra here. The world is a beautiful place, and the vibrant colors of the fall season point out God’s glory every which way we look. We cannot help but feel energized by the transformation before us. As change is contemplative, we cannot help but come full circle to feelings of gratitude for our place here, and now. Hopefully what comes along with that is a sense of responsibility. Keep renewing yourself by getting outin nature! Savor the sights, the flavors, the air and the opportunities. Do your practice outside whether it is yoga asana, meditation (sitting or walking), pranayama in the fresh air, and/or journaling amidst the swirling colors. Seek to understand and to accept, and be surprised at what may happen, “the way that opens.” My contemplative question this season is not “what shall we practice,” or “how shall we practice “(the teacher in me, planning for my students), but why do we practice? I encourage you to look at the bigger picture: go wide and then go deep. My answer is that we practice to strengthen body, mind and spirit, to do our duty, to live our dharma, but most importantly to really live! What a gift, to have a lifetime on this earth. Amidst the man-made madness around us, I practice yoga with its three pillars (self study, discipline and devotion to God) intentionally to seek inner peace. The centering effect is not just grounding and energizing, but deepens my faith and improves my outlook. It would be a shame, to float by all the glory, to miss the opportunities to explore and connect, to learn and to serve. “I encourage you to go out and see everything with a fresh new set of eyes,” as Parker Palmer says. Why do you practice? Share with me and with your classmates. Everyone who answers will be included in a drawing for a LifeFit giveaway: a yoga bag! Many people come to the practice of meditation, to affect the habits of the mind, anticipating that it is something to do with the logical thinking mind. The notion is to sit, to be still, and to learn how to quiet the racing mind which seems to be the sign of the times, constantly increasing and getting out of hand the more we allow ourselves to be over-stimulated. These are misunderstood notions. There are many forms of meditation and they share the ideal of the practice: to tame the wandering habits of the mind, thus cultivating the capacity to not be consumed by this part of our human nature. We are not trying to disembody our head but to realize that the mind is tricky! First of all, when meditation is new, it is very hard to sit still (the back gets tired, we notice too many things and begin to fidget). Therefore it is suggested that you have a supported meditation practice or even a walking meditation practice, depending onyour nature. And if we can bring our focus to our feeling body, then the intuitive wisdom of the heart and gut will guide us with what should be the one-pointed focus of our meditation. No matter if we choose it to be some aspect of our breath, a mantra, a mudra, a pranayama, a sound, a prayer, an aromatherapy, the habit of continuing to come back to that one-pointed focus, no matter how many times the mind wanders, will help you through the rest of the day when you cannot focus because of the many directions of oscillating thoughts. It’s our Birthday!! Essential Yoga Practice is about to be a year old - help us celebrate! Subscribe to our weekly blog at www.essentialyogapractice.com, follow us on social media: Face Book, Instagram, Twitter and soon to be a flourishing Pinterest. As we engage our audience, we hope you Comment, Share, Tag and ReTweet to be entered in our giveaways. Have’nt bought your copy yet…. Kindle version will be on sale on our birthday, October 26! Thank you friends, for your support! Love, peace, yoga and aromatherapy happiness to you! September is National Yoga Month! It is also a month of much change, the end of Summer, the beginning of the school year, the fall equinox and all the fun that goes along with the change of season from crisp weather to harvest celebrations and,… all is brightened by God’s color palette in nature. Sometimes change is daunting and we cling to our lingering ways. Change is inevitable and embracing change is what will help us stay present, enjoying and appreciating the gifts that accompany life unfolding. What part of your yoga practice keeps you resilient during times of change? Share with us on the following LifeFit Social Media platforms for your chance to win a LifeFit yoga mat bag, to carry your mat to practice in style! If you are wanting to find relief from stress, build resilience in body, mind and spirit, then it’s time to do yoga! While it is highly regarded as a holistic approach to wellness, the list of the benefits of yoga is long, as well as tried and true. Let’s take an unusual avenue of approach and look at how yoga can improve your … beauty routine! Don’t be afraid of inversions; embrace the many “preparations” for inversions that equally help to increase the flow of blood to your face and upper body. Though shoulderstand, handstand, headstand and backbend more often come to mind as inversions to practice, the following also are included in this category: downward facing dog pose, fish pose, child’s pose, plough pose, legs up the wall pose and triangle pose. All of these poses enhance circulation underneath your skin since the alignment requirements provide a different angle against gravity for the heart to pump blood.Blood delivers nutrients and oxygen to the skin, while flushing out waste from your skin cells, therefore Improving blood circulation and providing a rosy glow! Pranayamas, or breathing exercises, are effective routines that can build resilience to the cardio-respiratory system, refine how the muscles of respiration integrate with core engagement muscles, provide detoxification (elimination of CO2), and help to counter stress. Pranayamas also increase oxygen flow to aid in cell regeneration, and therefore to speed healing.Deep breathing opens up your lungs, increases lung capacity, and allows your body to accommodate more oxygen, which will facilitate the delivery of blood directly to all cells of the body, especially to your skin cells. Couple this with having a healthy diet to ensure good nutrition, and your oxygenated blood will be rich in regenerative properties to heal injuries, chronic issues, and skin damages caused by free radicals and excessive sun exposure. While deep breathing and asanas improve oxygen supply and blood circulation, certain asanas help the digestive process of the body, thus aiding in detoxification. This poses include the categories of twists, backbends, and folds. Incorporate them in all your sequences and you will not only have a well-rounded practice but you will energize your body too! Backbends create heat, and increasing your core temperature helps your skin eliminate impurities and toxins through perspiration. Your intestines are where nutrients and minerals are absorbed to repair and nourish all the cells of your body, especially your skin, the largest organ of elimination. Thus, a sluggish or compromised digestive system makes one more prone to acne breakouts, allergies, dull skin and other skin problems. How your body “wears stress” is first evident in the outward appearance, your skin. This is apparent in dull, irritated skin, as well as one’s expression and one’s posture. Give attention to distressing with building a meditation practice to facilitate your spiritual growth, clarity of mind, and relief of tension. Your inner glow will radiate! Yoga’s sister science, Ayurveda explains that we are all unique beings, with a constitution that defines much of our preventative health practices, and that all 5 elements: earth, air, fire, water and ether are include in our make up. Therefore this plant based practice uses aromatherapy to clear the atmosphere of airborne pathogens, enhance mood, provide energy as well as nutrition. How we use aromatherapy and essential oils can be both preventative as well as medicinal. Want to know more? Get your copy of Essential Yoga Practice book and DVD here. Once your know your constitution, it is not just the direction of diet and nutrition unique to your needs, but direction with regard to your daily self care practices, your Dinacharya, to include skin massage with carrier oils infused with herbs and essential oils, aromatherapy, and other detoxification practices. Complete your yogic beauty regimen with asana practice to tone muscles, including face muscles. A well-rounded asana practice will attend to strength, flexibility, and balance, of body mind and spirit. A combination of these components The practice of Hatha yoga gives attention to breath work with each pose and especially in the transition between poses. This will stimulate circulation of blood and lymph and benefit the body as explained in the previous points. Furthermore, feeling facial yoga and Ayurvedic face massage will stimulate circulation and release of tension in the face, neck and head. Facial yoga is known to stimulate your facial muscles to tone them and to prevent sagging, as well as to nourish the skin. Yoga provides many wellness tools that when used with consistency improve health from the inside and out. Using Ayurvedic diet and daily practice regimens, using natural beauty solutions, using your asana, pranayama and meditation practices, yogis can experience overall mind and body healing and can radiate their true nature! Clinical research is growing fast in the area of yoga! may be done in companionship with you. because it is done with great love. of your dream of beauty and unity. and in its bearing fruit for the world.